The Arts Educator Award promotes and rewards excellence in arts instruction throughout Greater Cincinnati. Students nominate an educator through video submission that describes the impact the educator has had on his/her students. The winner of the 2019 award will receive $2,500, and two finalists will receive $500 each. The winner will be announced at the Overture Awards Final Competition & Awards Ceremony on Saturday, March 9, 2019. The recipients of the Arts Educator Award may utilize the monetary award to strengthen their program or practice, e.g. artist fee for guest lecturer or master class, purchase of equipment, professional learning opportunity, such as for tuition assistance for either the educator or for students to study with the recipient or another professional. 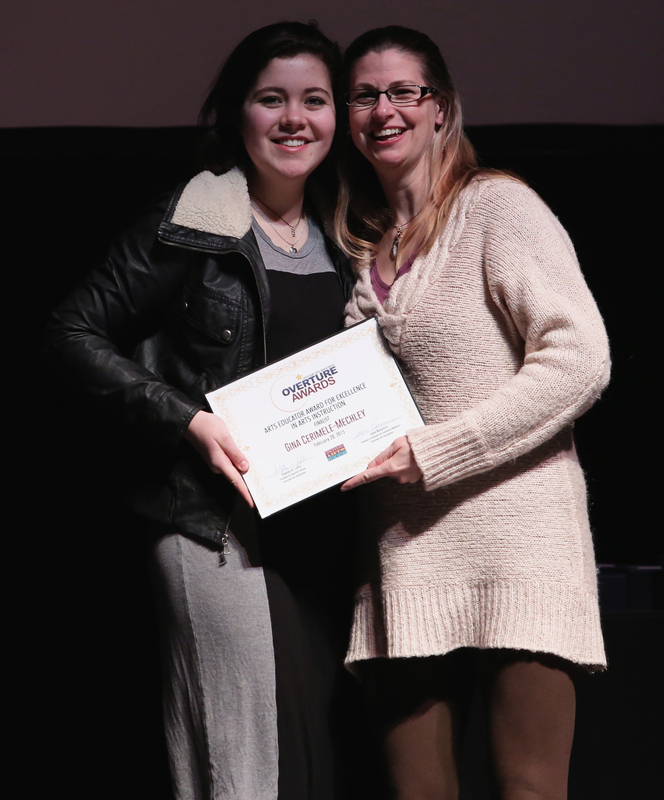 Congratulations to Gina Cerimele-Mechley for winning the 2015 Arts Educator Award!